Thanks Grace . Do you have a web page with links to your other models? Not at this point. 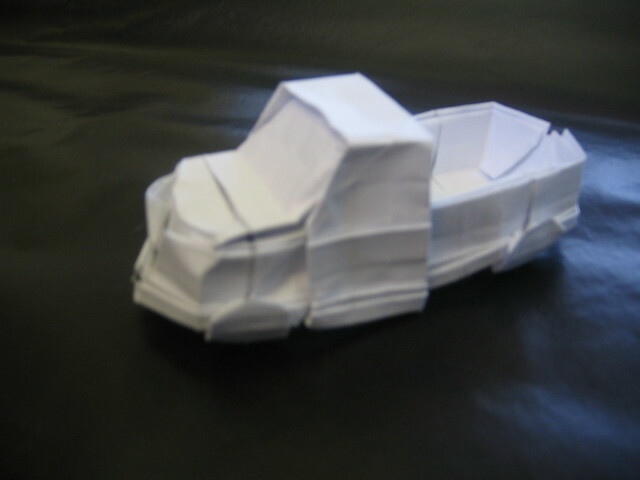 It has only been in the last two/three months that I have tried to share what I fold. It has been a rather steep learning curve. 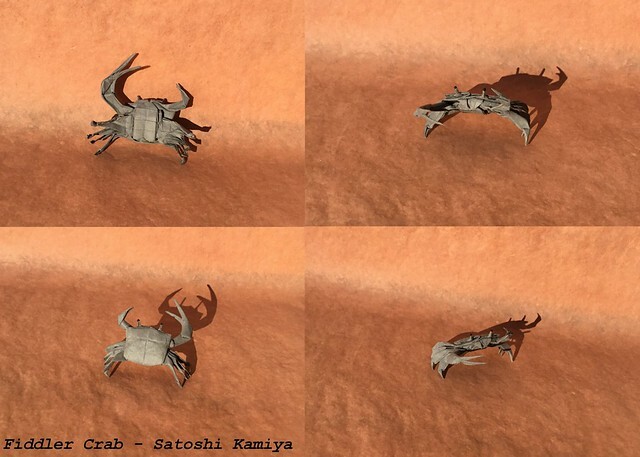 Flying Atlas Beetle, designed by Shuki Kato and folded by me. This is the 2011 version. Please, add me on flickr and tell me what you think! Excellente models and folds Ponadr and shortlodude! Love the color change in both cases. 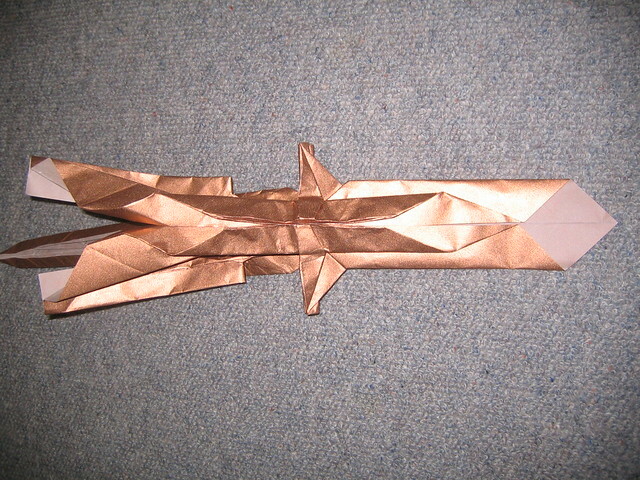 Swallow paper airplane - traditional model. 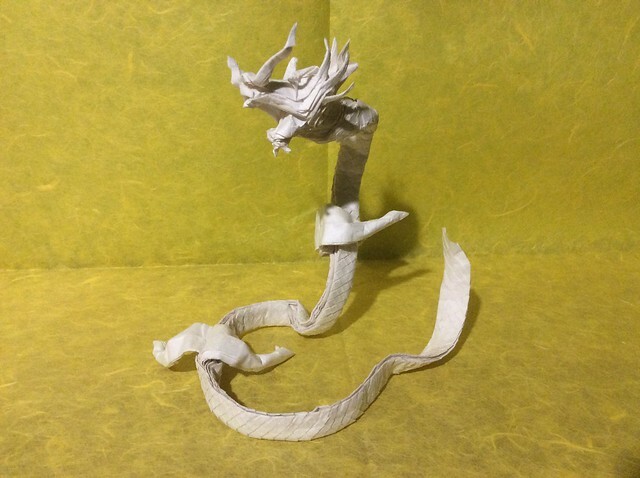 Folded from fiber tissue paper attached to "papel silueta" (I'll edit the post once I learn its name in English). 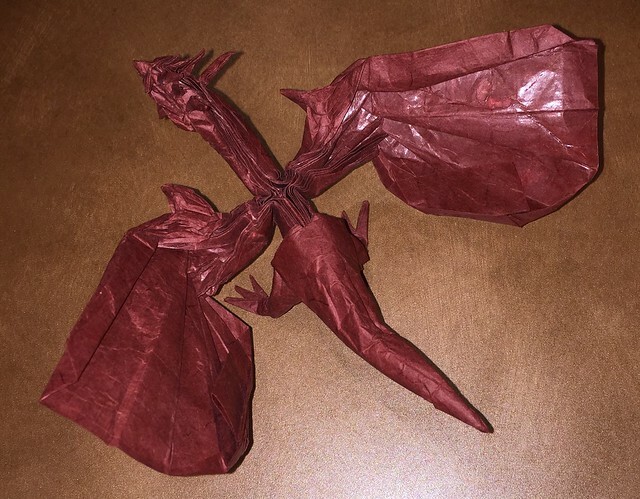 When I was way young, two of my cousins folded it. I was amazed by its beauty. 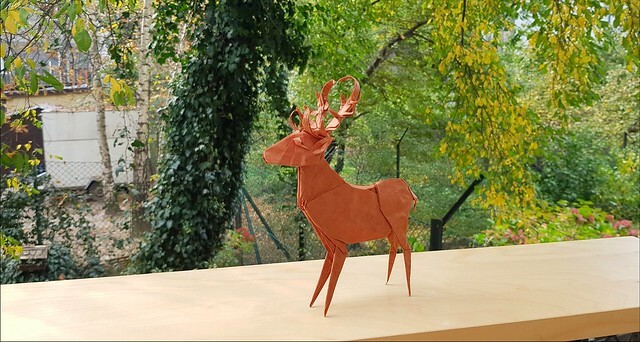 I believe I wasn't able to fold it back then, but accompanying them while they made it and play with it was an important moment for me. I finally gave the fold to the organizer of the Facatativá event: Camilo Torres. I know the close up picture looks way better. It's just a design exercise, made from a draft I discarded of a memo pad holder. 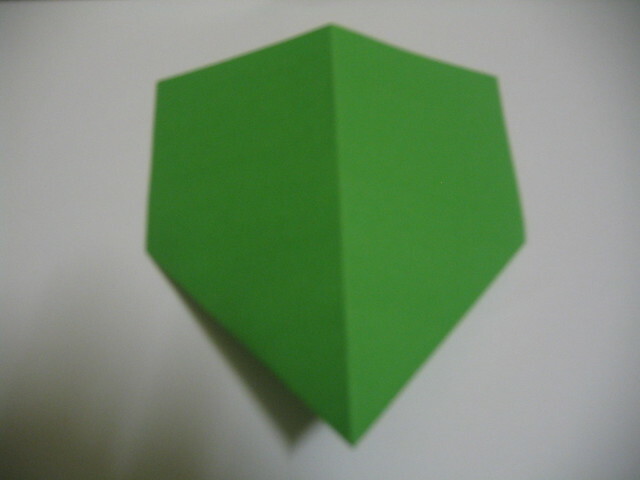 It's folded from Stardream paper and starts with a fish base. 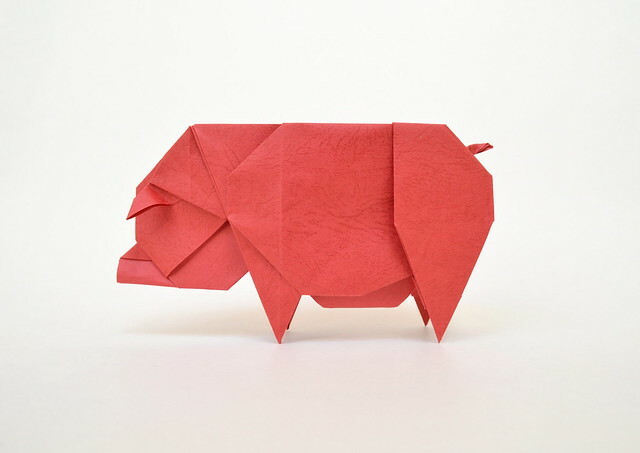 I improvised this because every so often I give away folds in the public library and the discarded memo pad holder draft didn't seem that interesting to give away. Last edited by Gerardo on February 7th, 2019, 5:23 pm, edited 1 time in total. 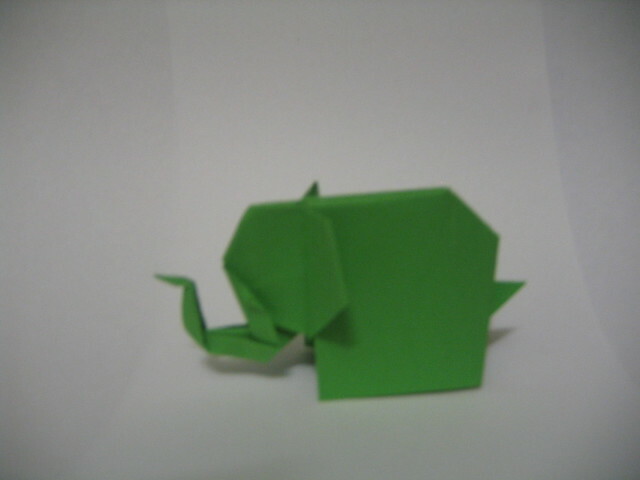 Paul Jackson's elephant, the most influential model in my early origami days. It involves a difficult closed sink and a slightly easier half-closed sink. 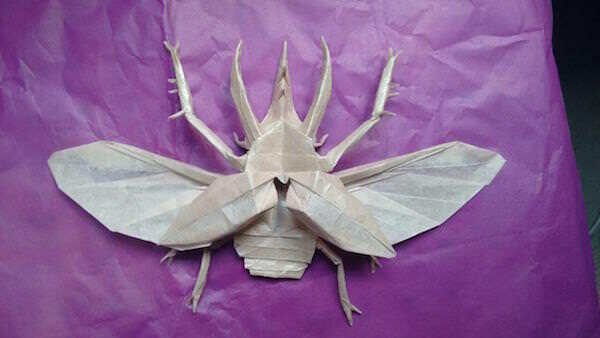 I thought I was very good at origami when I first completed it. 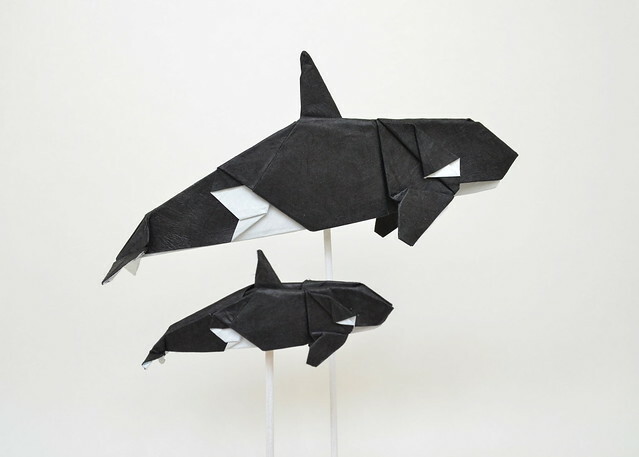 I've got a lot better since, and I don't think I'm very good at origami anymore, just good. And finally, I've started my good copy of Shuki Kato's Western Dragon. 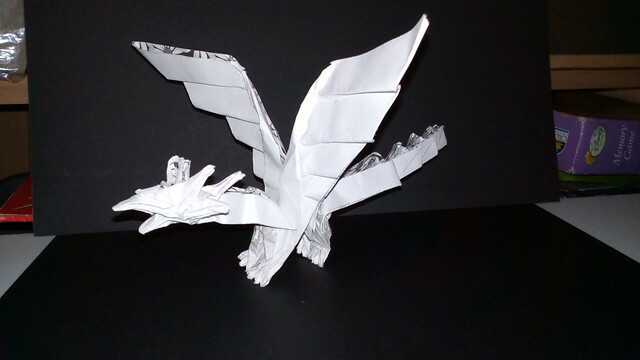 Ryujin 2.1, designed by Satoshi Kamiya. It was my third try of this model and I'm finally satisfied with how it turned out. 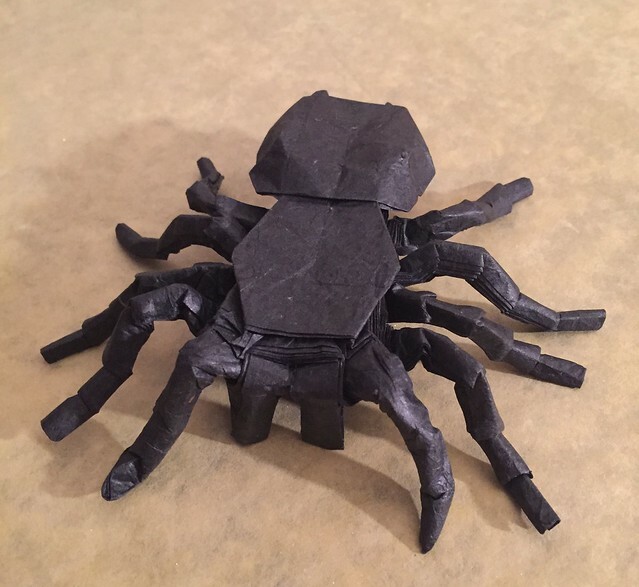 That’s an amazing fold, Anatompuk! I hope I’ll soneday be confident enough with crease patterns to attempt any of the Ryujin models. Are you planning to try any later versions (specifically, the 3.5)?